Here’s how to do it from a single sheet of 11″ x 17″ cardstock. 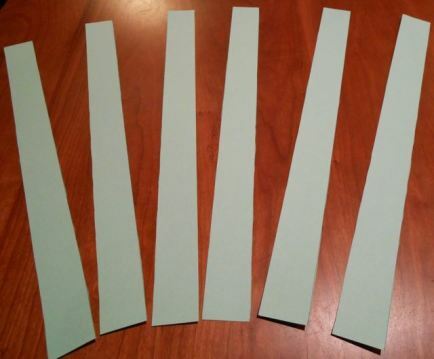 Begin by cutting six 17″ long by 1.5″ wide strips. 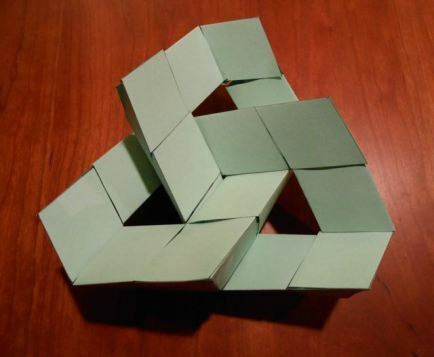 For the mathematical background of this tubular trefoil construction (for example, these rhombuses have the ratio of the long diagonal to short diagonal equal to the square root of two), and a whole bunch more “recipes” for building cool things out of triangular tubes, see this page that Tom Verhoeff put up. 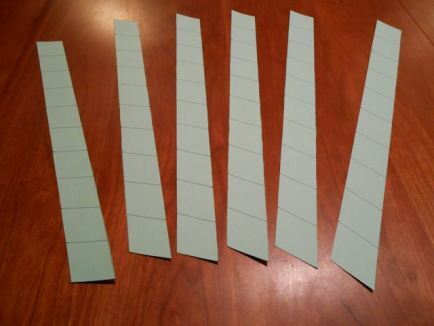 If you’re inspired to create something with this simple but versatile method, send pics to mondays@momath.org. 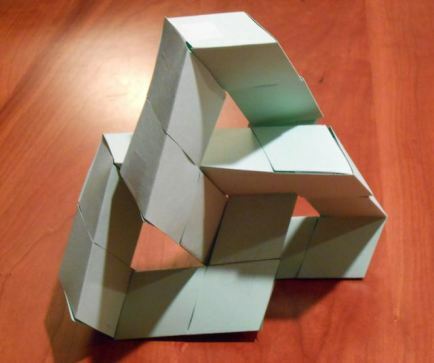 This article first appeared on Make: Online, September 16, 2013.